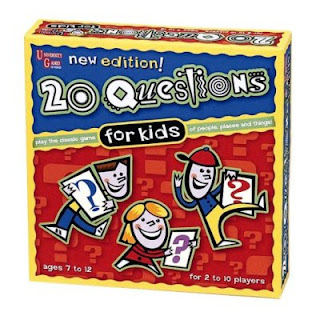 20 Questions for Kids is another one of my top games in therapy. The cards that come with this game are a speech and language therapist’s dream come true. Put out by University Games, should really be called 20 clues. I will use it for a whole session or for quick 5 minute filler. To be honest I never really followed the rules and it has been a long time since I have read the original rules. Each card gives 20 clues about a person (real or fictional), place or thing. The children take turns listening to the clues and try to guess the target word. To keep track of which clues are read, chips cover individual spots numbered one to twenty. The game board is a path in the shape of a question mark. Lots of my students have found this interesting. I take control of the chips just to save time. When working with a group I am usually the only one read the clues. unless I am playing or have the kids working in teams. The language used in the clues is sometimes tricky; however, the cards have the answers on the bottom so I instruct the kids to cover the answer with their thumb so I (or other players) do not see the answer when I help with reading. I will go through the pile to make sure the children have a reasonable chance of guessing the item, Is it something they would know? In a small group setting, I usually have the students take turns. The student selects a number; I cover that number with a chip and read the corresponding clue. Depending on the abilities of the student, I may rephrase/repeat the clue or even previous clues. Now the student can make a guess. At this point I may talk about whether the child made a good logical guess or ask them to tell me how they came up with that answer, maybe even reread the clues to tell them why that answer would not work. The following student must wait for the next clue before they can respond. If the student guesses the answer after only 4 clues, they can move 16 spaces, after 10 clues 10 spaces….. If I only have one student with me, we will take turns reading the clue cards to each other. This is still fun and targets individual needs. Sometimes I will use the cards without the game board, reading from top to bottom, as a quick activity. This is a game where we tend to have a lot of fun. There is a lot of opportunity to practice individual skills. Occasionally, a student will be a little disappointed that they can’t figure out an answer. However, I will take that as a teaching opportunity pointing out that some of the clues are clearly easier than others. I might point out some of the silly responses other have made (all in fun and only when appropriate). I am not big on letting kids win all the time but I will often make sure I listen to a few more clues before I guess just to show them it is not always easy. In the process of writing this, I found that there are 2 new versions of this game. I plan on purchasing both today. (Attn: Do not purchase the “new edition” if you already own the original game-the questions cards are identical 2/23/2008). 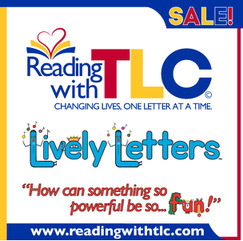 The Original 20 Questions for Kids is recommended for children 7-12 years of age. The 21st Century 20 Questions is recommended for ages 8-adult. The variety within the cards makes this game extremely versatile with middle school aged language groups where the abilities of the students often vary.